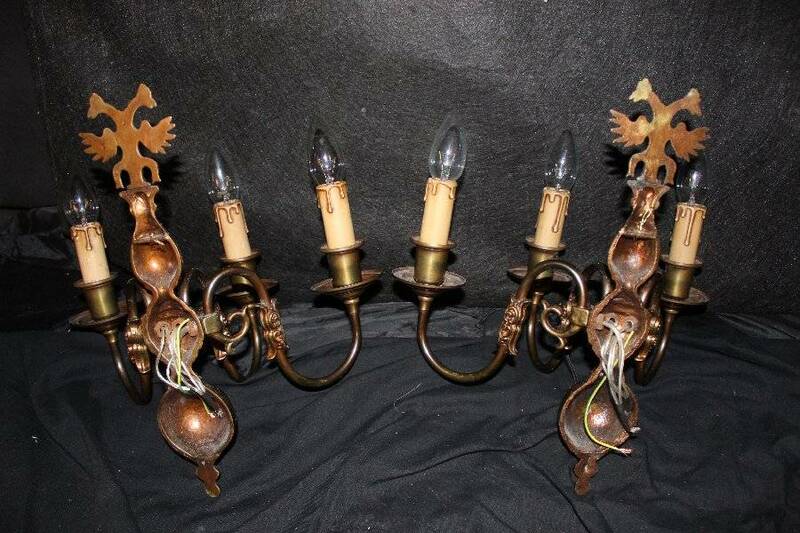 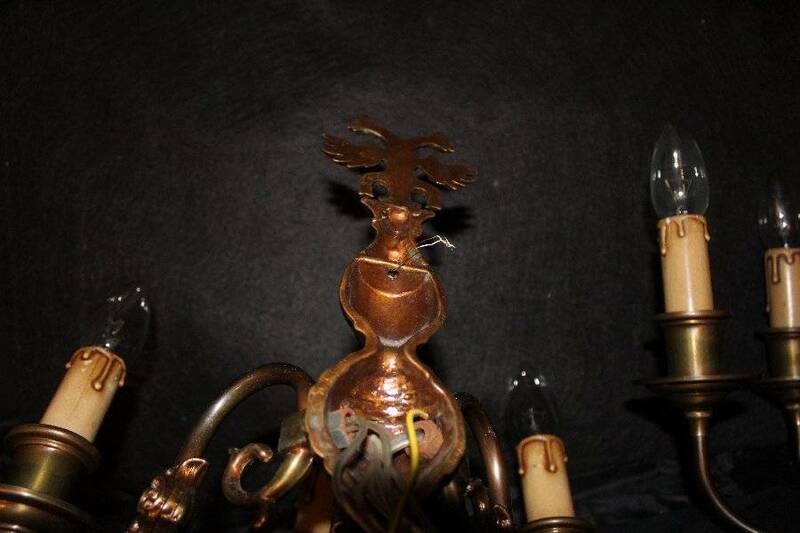 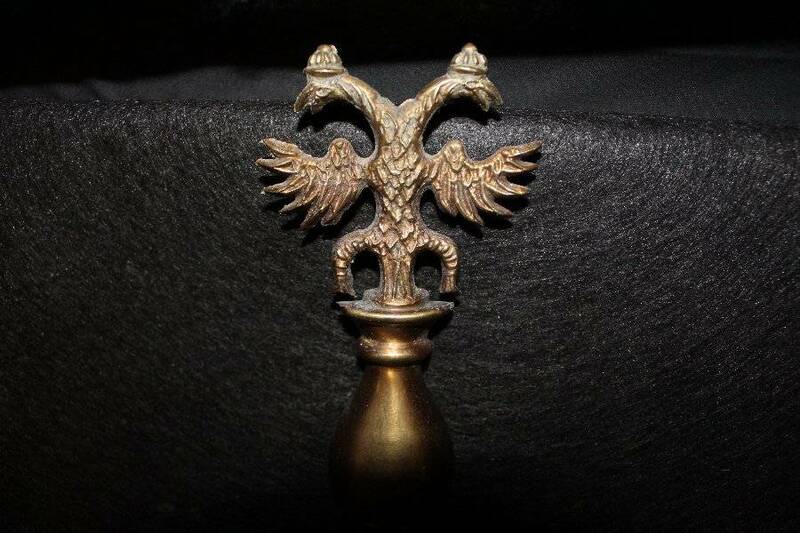 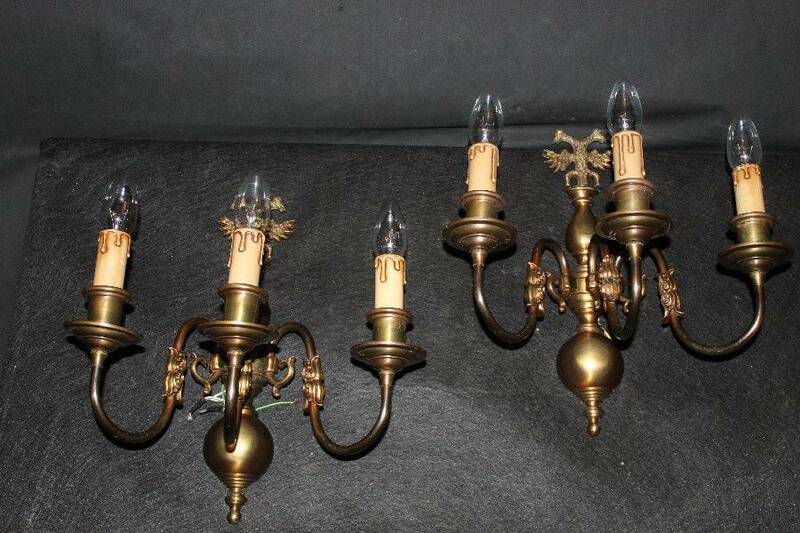 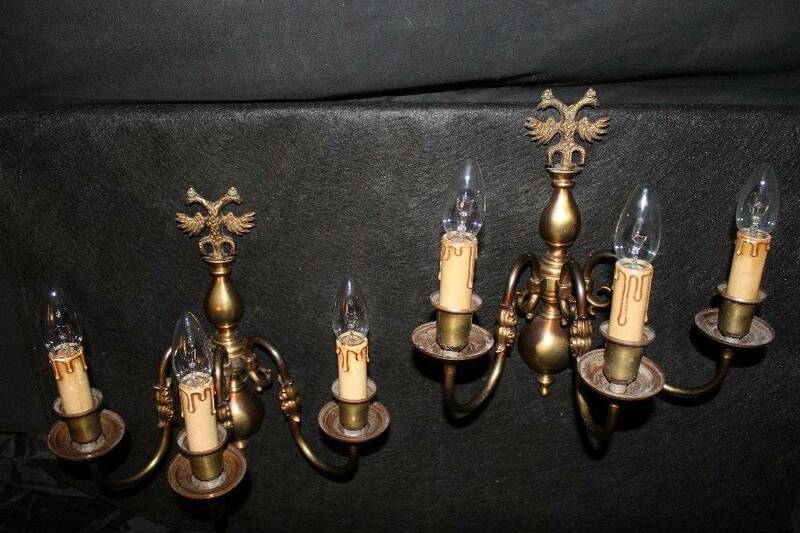 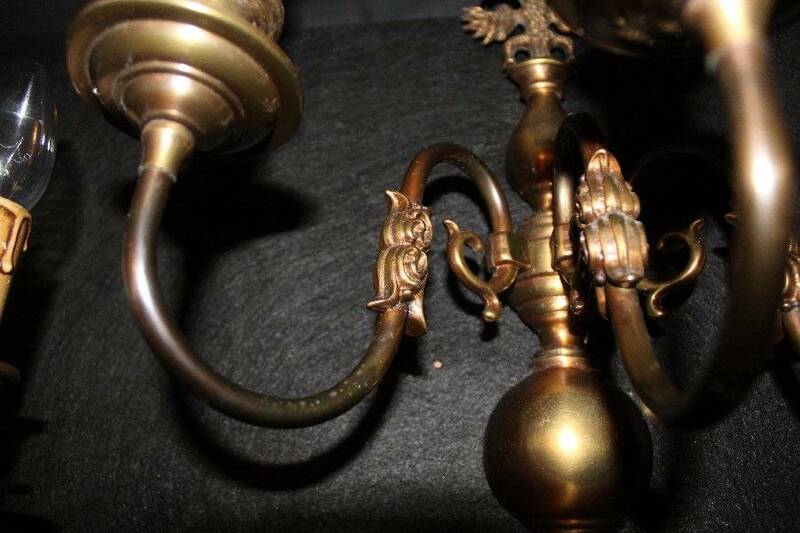 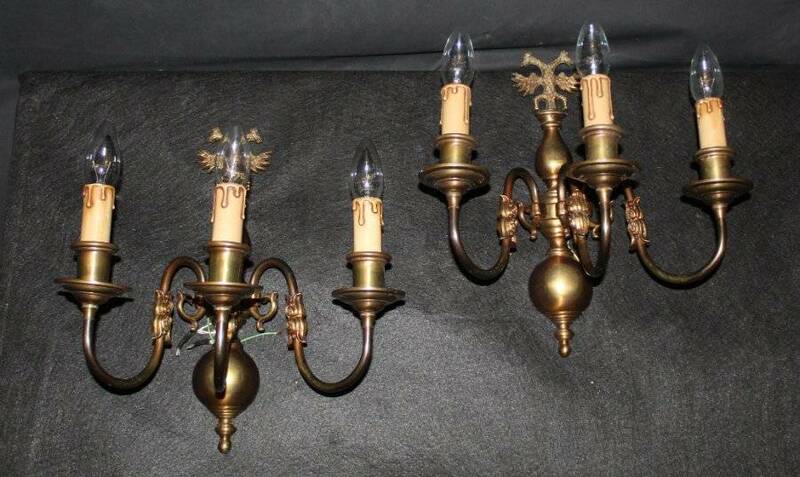 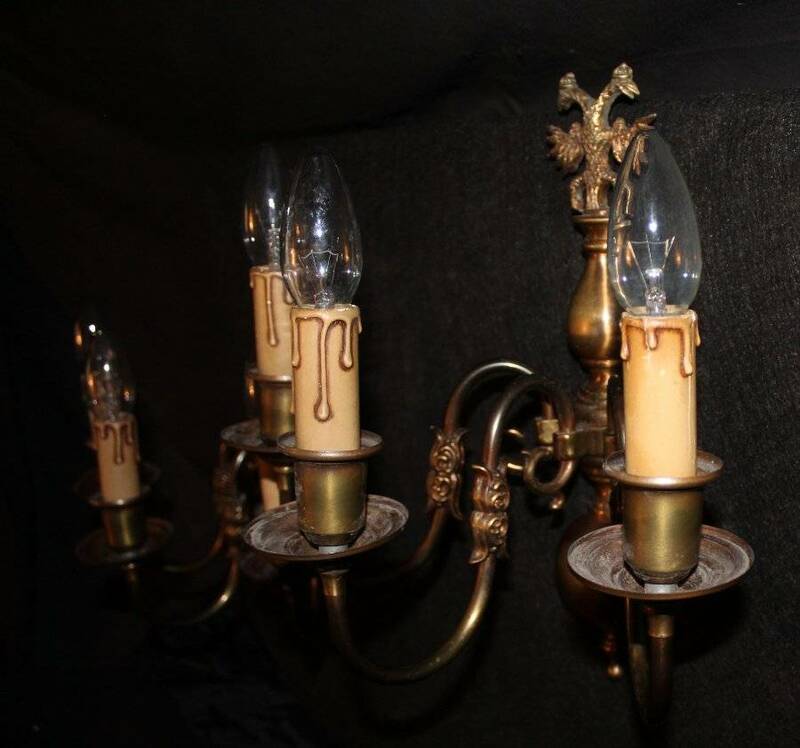 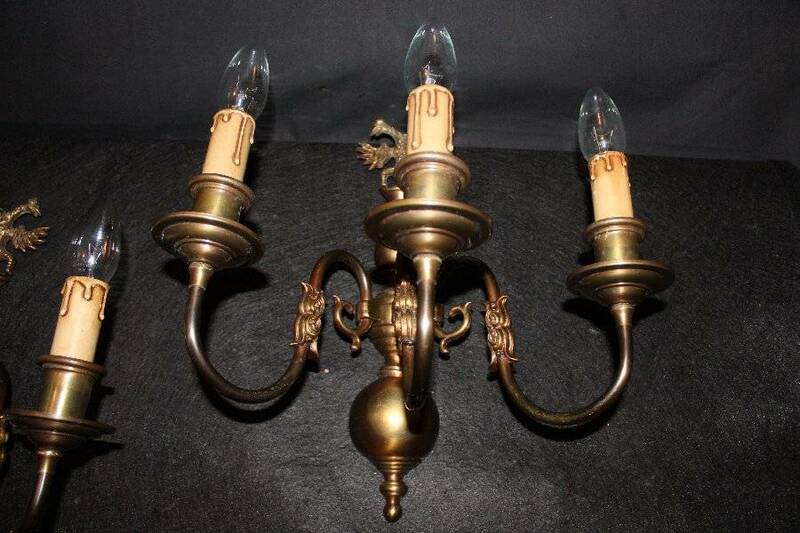 GENUINE 3 arm VINTAGE FLEMISH SCONCES. 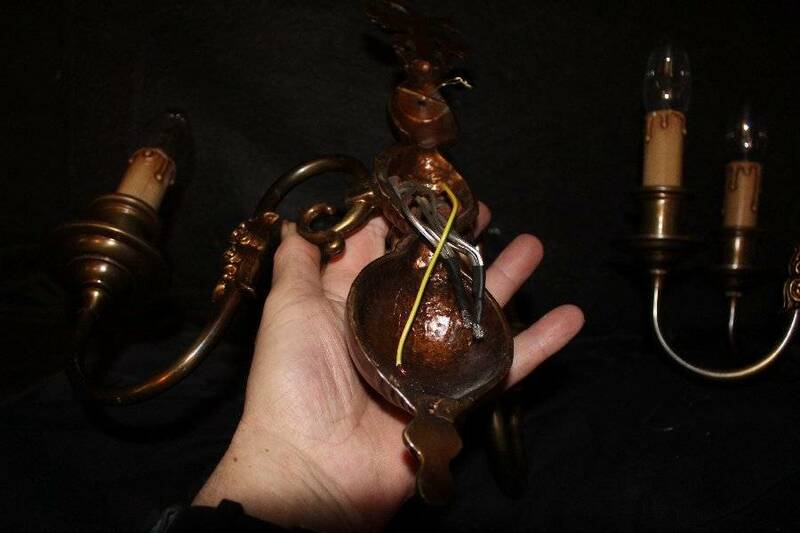 AND HAVE HAD AN EARTHING WIRE ADDED FOR EXTRA SAFETY. 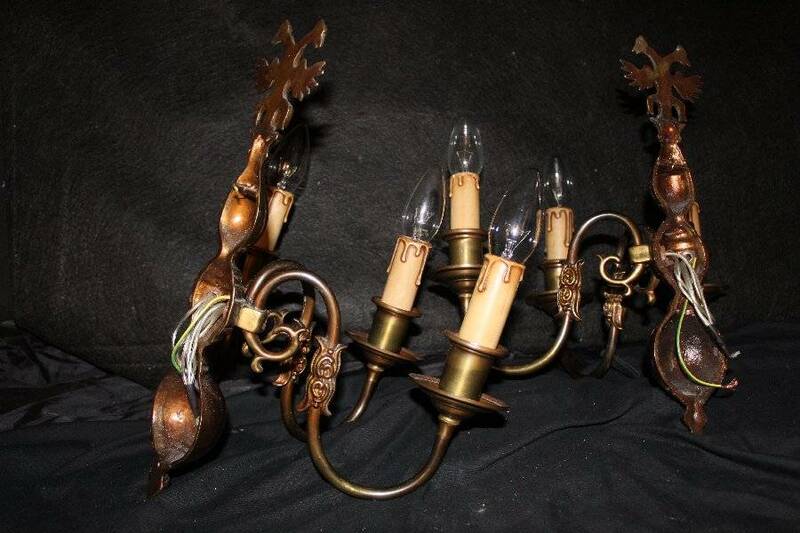 THAT A QUALIFIED ELECTRICIAN INSTALL AND TEST THE SCONCES.